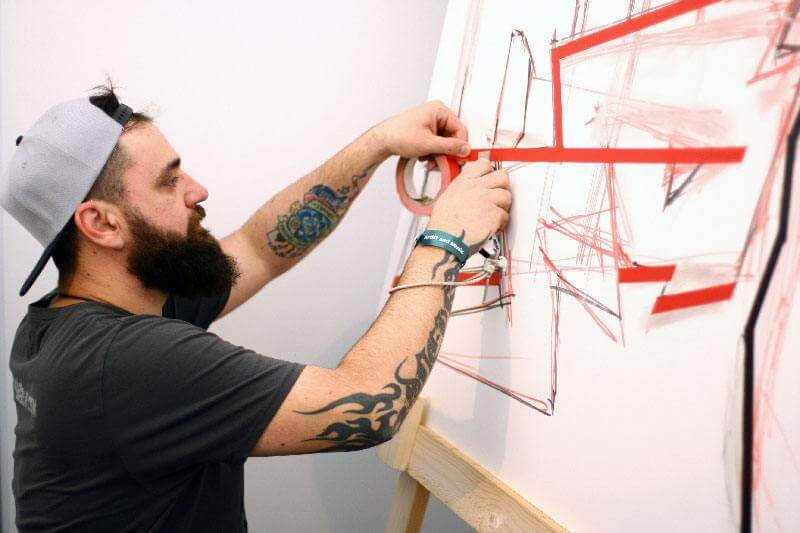 Backstage | The Story about the tape artist "Ostap"
Is it art — or can I chuck it? This will probably be asked. Tape artist Slava Ostap makes art. Not some art, but street art. Not any kind of art, he does tape art. And this art is really the finest. In addition to his first successes, such as “Still Unrest” or “The Beast”, I was allowed to reshape two floors of the Berlin department store Jahn as part of the Google Play event with his team. I glued walls and floors and thus created a completely new dimension. The result was and is always impressive. It captivates the viewer and leaves much room for own interpretations. As a tape artist, I try to stay innovative and rich in ideas. 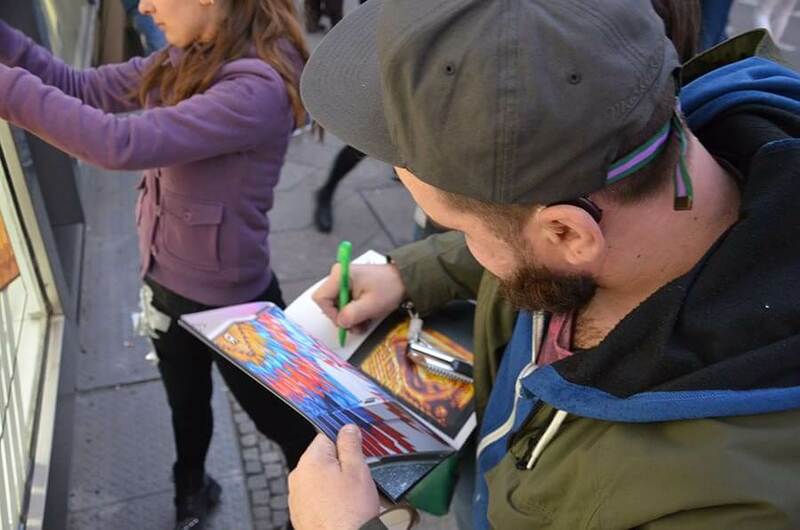 I create art where nobody would expect it: at windows, in huge halls, on streets or in parks. The result is simply breathtaking and unique. But why just adhesive strips? Why not classical graffiti, which he also well mastered? With adhesive strips, you can easily and effectively realize your vision. There are no limits to creativity. And if the whole thing no longer pleases, it can be removed easily and without residue.